This 2 story home sits on one acre of land, with lots of fruit trees (apple, cherry, peach, plum, grapevines, and blueberry bush) This home is a 4 bedroom home with master on main, that is waiting for it's new owner! All but one bedroom has a walk-in closet, and the one that does not is a "walk through" with 2 doors. When you enter the home, the spacious living room features laminate flooring, and plenty of space to hang out! The kitchen has an island, and eat in dining room great for entertaining. Laundry room features a half bath, pantry and storage space. The master is on the main level, and has an on suite with walk-in closet, garden tub, and separate shower. The large back porch offers lots of entertaining space, over looking the huge backyard! Upstairs, are 3 spacious bedrooms and a bonus room. 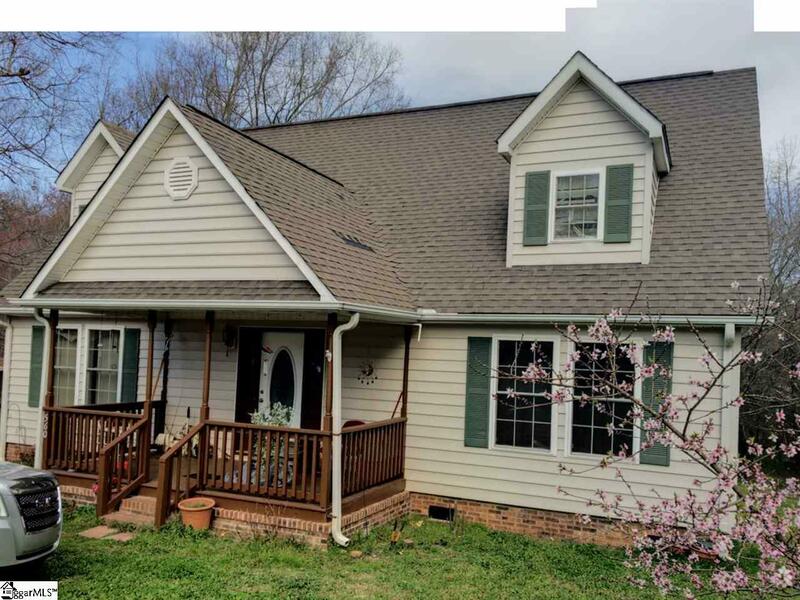 This home is waiting for new owners to make it their own, in desirable Wren schools district. Listing provided courtesy of April Whitfield of Only Way Realty Greenville.